Eclipse Ireland Adventure & Activity Centre near Kenmare, Co. Kerry is renowned for its onsite outdoor adventure activities and offers a great experience in horse riding, Coasteering, mud surfing, archery, assault courses, kayaking, orienteering, team task challenges, raft building, cycling, fly fishing and so much more! All taught by their expert team of professional, qualified, and witty instructors. 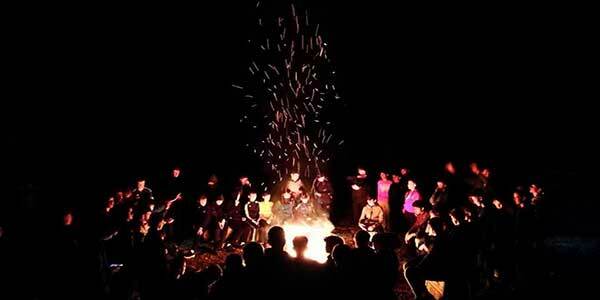 Eclipse offer customised days out to suit families, school groups, corporate groups, scouts, teams, and individuals. 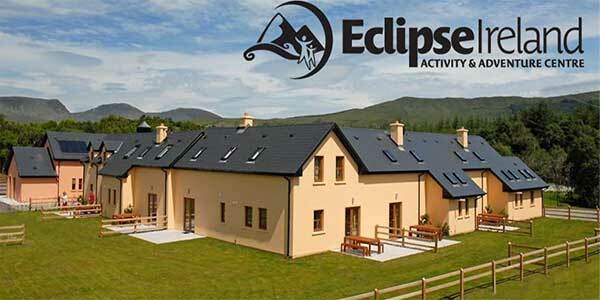 Eclipse is a custom-built family orientated Equestrian and Outdoor Adventure Centre, set in the stunning Ring of Kerry amongst the beautiful McGillycuddy Reeks. With their five luxury self-catering holiday cottages, stables, trails, river, and picnic rides around the estates, it’s a setting and experience you simply can’t beat. The centre is renowned for its onsite Adventure Activities, as well as their industry leading offsite Coasteering, which you can try out to your heart’s content. You can also simply enjoy a walk through the woodland or along the river trails to soak up all that Kerry has to offer. Eclipse cater for all ages and groups- from the simple adventure day to sophisticated packages and superb catering . 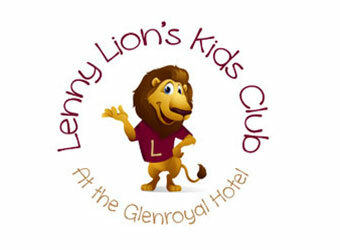 Clubs, school groups, corporate incentive days, families, everyone are welcome! 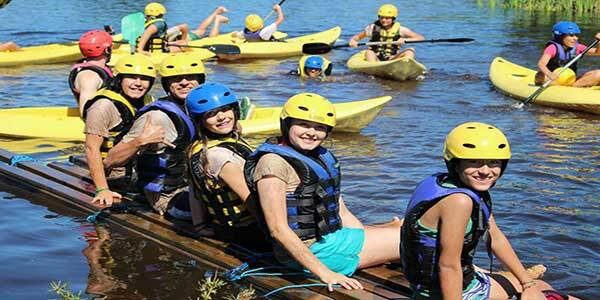 Eclipse are the leaders in providing innovative activity based Camps which are designed to ensure that all students experience thrills, serious fun and adventure and at the same time exercise the mind and body in a safe and supervised environment. Their unique approach based on an ethos of building confidence, developing leadership skills and infusing team spirit, delivers an experience that will remain a lifelong memory. Eclipse Ireland is happy to announce their Summer Camp Dates for 2017! Whether you are interested in ponies, activities, soccer, or survival they have all your bases covered for your children this summer season. Day camps begin at 10 a.m. and finish at 4 p.m. Monday through Friday. Each of the five spacious Holiday Homes at the Eclipse Centre offers a relaxing, contemporary design defining a well-appointed living environment whilst maintaining charm and distinction. Each unit accommodates between 4 and 9 people depending on house type. Custom built, the properties are designed to exceed the needs of the modern family and are furnished with all the conveniences of modern life. Eclipse Cottage 1 has a downstairs single bedroom and a roll in shower adapted for wheelchair use. All houses are light and airy with porcelain tiled or oak flooring covered with beautifully coordinated rugs. The well equipped large kitchen and dining area features walnut units, oak dining tables and leather dining chairs, with French doors to a private patio. 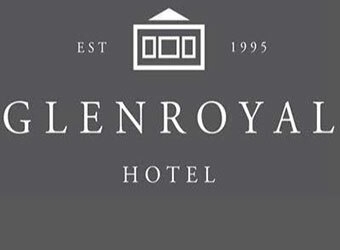 Relax in the lovely bright living rooms which are tastefully furnished with comfy leather sofas, flat screen TVs with satellite stations, as well as a DVD player and hi-fi system. The Eclipse Centre offers you a family holiday with peace, relaxation, adventure and fun in a beautiful and tranquil setting. A Sauna, Steam-room and Jacuzzi make up their facilities spa, that any family can enjoy. Eclipse also have walks through the estate’s woodland and gardens, which mean you can combine a wonderful leisure experience with a multitude of activities to suit all the family. 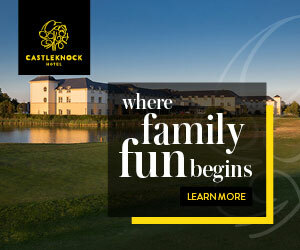 Please call them at 064 6682965 to discuss your family break! 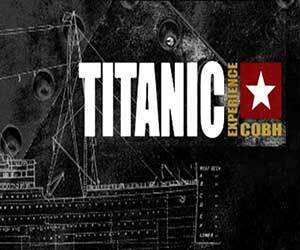 Multiple bookings discounts and special activity/accommodation packages apply! Why not try from the following list of onsite activities? Something for everyone! 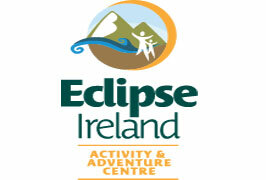 Eclipse Adventure and Activity Centre truly is Kerry’s one stop activity centre and seeks to deliver a unique and extensive range of outdoor activities to facilitate visitors with diverse interests and abilities whilst ensuring that they are well supervised in a safe, secure and controlled environment. Come along for a Family day to remember. Based on a family of 4-8 (minimum age of 8), choose any 4 activities from a choice of: horse riding, archery, assault course, cycle touring, fishing, and orienteering. Work together to overcome and achieve all while making family memories that’ll last a lifetime! Riding for all levels on Eclipse Equestrian lovely scenic off-road trails. Lessons, Vaulting (gymnastics on horses) is also available for all ages. Arrow meets target with tuition from their fantastic Eclipse Instructors. Throughout your session you will build from the ground up to gain a foundation in a fantastic sport. Bring your game face and enthusiasm, for you never know what sort of surprise competition might lie at the end! 17 adrenaline and muck filled challenges! Everything from the 9ft wall to the dreaded mud pit. Gather your strength and courage to overcome these obstacles, using both brain and brawn with a bit of true grit thrown in to come out on top! Armed with a compass, map and score sheet, challenge yourselves in traversing from post to post through the unknown bogs, forests, and fields of the estate to come out on top! 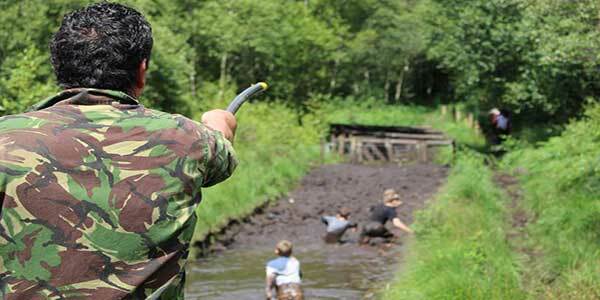 You can also choose to combine the Orienteering with the Assault Course to do the Eclipse Brain and Brawn Challenge. Are you up for it? You can take part in a solo session on the tranquil Eclipse Lake with the only noise the sound of your paddle breaking the water. Or be joined by one of their experienced instructors for a session that will build up your skills on one of their high buoyancy sit on top kayaks. By the end of it you will be ready for their Eclipse famous exclusive game Django Ball! Where anything can happen! If a lake isn’t for you don’t worry as they also offer an enhanced trip down the River that runs through their estate!. Action and adrenaline with mud at no extra charge! Take the test and see who can stay on the board the longest and complete the course. Cycle around the private estate, local B-roads and off-road trails in the area. Not to mention only being a short spin away from the Old Dromore trails, coast, and Ring of Kerry routes. While you’re warming up the legs you’ll get a breath-taking view of all the Ring of Kerry has to offer! Take it easy and try out fishing on the Eclipse private lake stocked with specimen brown trout, fly and spinner, catch and release. Eclipse have a problem solving team building course, which is great for family bonding and confidence building. Group and family fun! Build a raft and rescue the Eclipse cat from the island in the middle of our private lake. 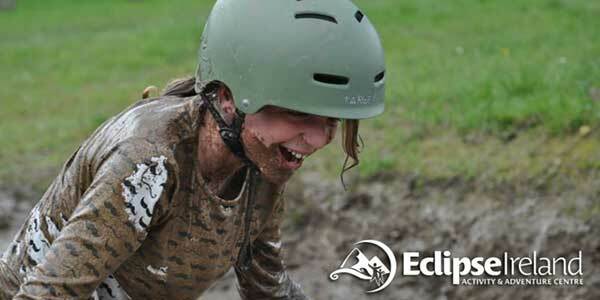 Eclipse Ireland is the perfect venue for your next school retreat, scout camping trip, or club social outing. They offer an incredible range of activities, team building exercises, outdoor adventure and much, much more! They will liaise with your school officers to build the perfect day, weekend or week package for your students, suiting a variety of budgets. Eclipse Ireland has worked with over 50 schools so far and are always receiving exceptional feedback. Let them create an unforgettable experience for your students. The Eclipse Centre has 5 houses and their new barracks that can sleep up to 80 students or club members in bunk beds. Each house has a fully equipped kitchen. Not to mention their newly renovated fun shack, that is equipped with a BBQ, foosball and ping pong table, baggo, darts, projector that can stream and play any media, as well as a full sound and disco system that will keep your students jamming and dancing all night. Next to the fun shack is even a fire pit for that late-night bond fire and smore sessions for the kids to sit and buzz about all that they’ve done. They also have a conference/workshop room complete with multimedia centre (projector, laptop, hi-fi sound and DVD player) which is perfect for training sessions, late night movies, tea and coffee, seminars and more. 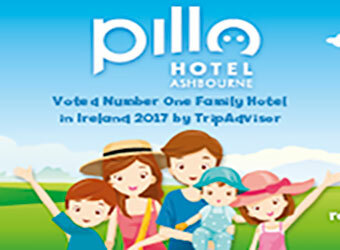 Please call us on 064 6682965 to discuss your next school trip, camp or club outing! Pony Camps can be combined with Soccer and Adventure Camps.